Here are 8 reasons why Blue Dive and our PADI Advanced Open Water Course is different to what is on offer by other dive operators in Port Douglas and Cairns. 1 – AT Blue Dive we deliver diving experiences with a difference. We are not your average dive centre and we believe in offering only exceptional Great Barrier Reef diving experiences. 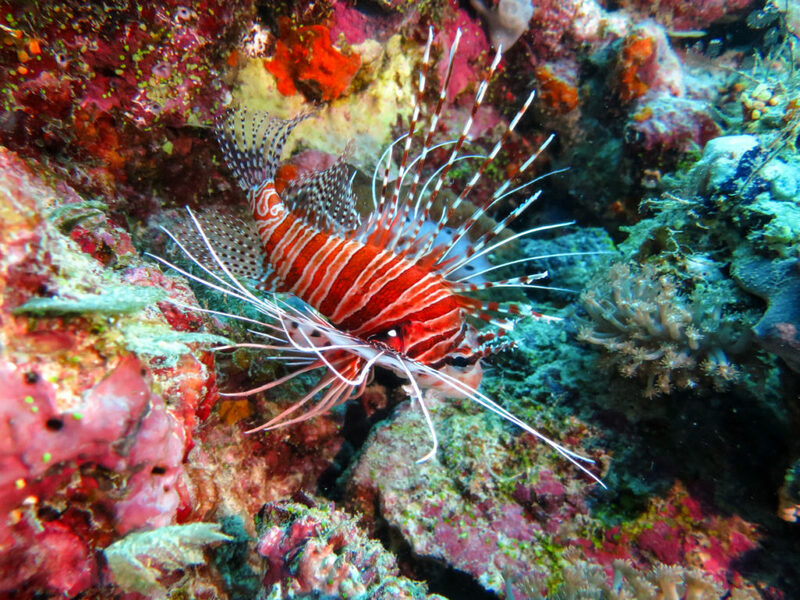 2 – THE best Great Barrier Reef Dive Sites. We won’t send you to local sites to save on logistics during your course. 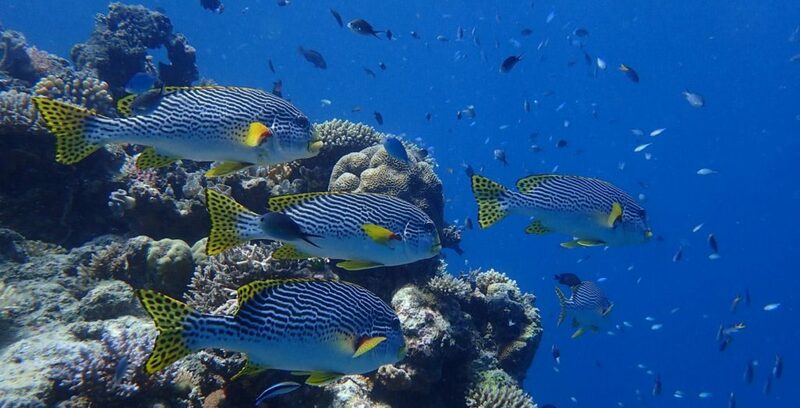 We’ll take you to the best Great Barrier Reef Outer Reefs to ensure that you see world class marine life! 3 – YOU choose. You’ll need to make 5 dives to complete your certification, including an underwater navigation dive and a deep dive; the other 3 dives are your choice. We have ideal conditions for numerous options including Underwater Naturalist, Peak Performance Buoyancy, Drift Diving and Underwater Digital Photography. If you opt to dive Lake Eacham for one day of your program you’ll also be able to make an Altitude Dive – a unique experience. 4 – TWO days on board. In order to deliver THE best Great Barrier Reef diving experience we use either our Poseidon or AquaQuest high speed catamarans to ensure you cruise in style. These high speed vessels mean that with Blue Dive you’ll be exploring reefs that are not an option for other dive operators. 5 – EXPERIENCED Instructors and small groups. At Blue Dive we never dive in large groups because we want you to experience Blue Dive personal service and an exclusive holiday. Whether you are travelling with a partner, family group or with friends we won’t add other people to your course. For those who want private tuition we also offer the option of a tailor-made one-on-one program. 6 – PADI eLearning for convenient studying in advance. The PADI Advanced Open Water Course does not demand the same level of theory study as your Open Water program did. You’ll study 5 topics, which relate to each of your 5 dives, through PADI eLearning prior to taking your program here in Port Douglas. 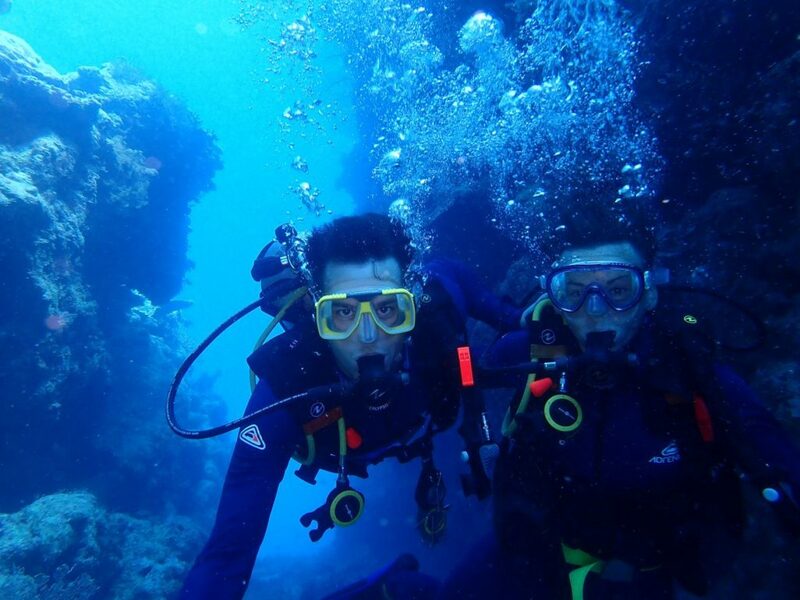 Start your PADI Advanced Open Water eLearning online here. 7 – YOUR safety. Safety is our number one priority here at Blue Dive. 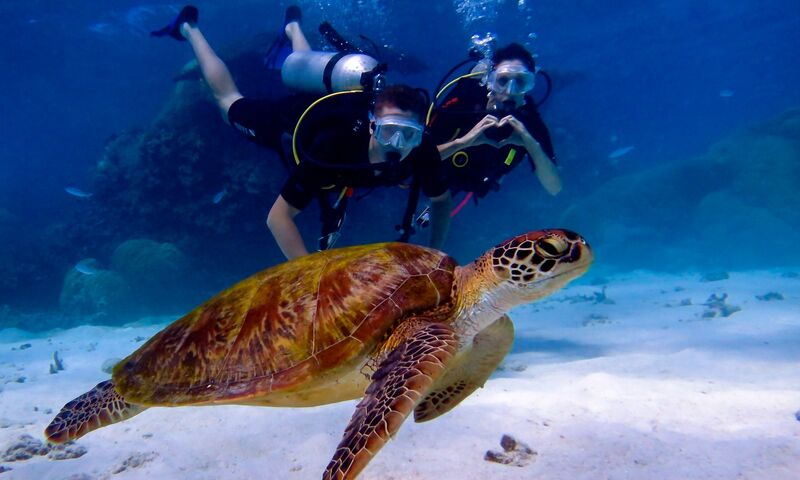 You’ll dive the best Great Barrier Reef dive sites while being able to rest assured that you are in safe hands. All vessels carry extensive first aid kits, emergency oxygen, onboard communications and navigation technologies, fully trained crew and experienced dive staff. We plan our trips and dives according to sea, weather and tide conditions to ensure you have the best dives possible. 8 – PRIVATE charter options. Are you looking for a Great Barrier Reef private charter with live-on-board options? Create memories that will last a lifetime with a Great Barrier Reef private charter. Come and join us at Blue Dive, Port Douglas and explore some of Australia’s best dive sites in luxury. We are looking forward to welcoming you Blue Dive soon.